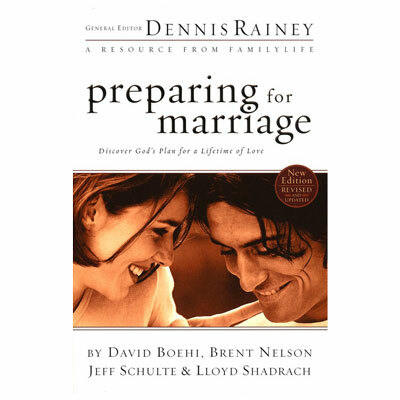 David Boehi is a senior editor at FamilyLife and editor of the HomeBuilders Couples Series. He is a graduate of the University of Missouri journalism school and has served with Cru since 1976 and FamilyLife since 1988. Brent Nelson is a graduate of Trinity College, and earned masters degrees from Indiana University and Trinity Evangelical Divinity School. He worked for many years with Cru and FamilyLife, and is now involved in church, vocational, and adoption ministries. Lloyd Shadrach is a teacher in residence at Fellowship Bible Church in Brentwood, Tenn., which he co-planted in 1997. Previously he worked with FamilyLife for 13 years. Lloyd is a graduate of Dallas Theological Seminary. Jeff Schulte is a fellow and director of the Sage Hill Institute, an initiative for authentic Christian leadership. He is a graduate of Yale University, earned two masters degrees with highest honors from Western Seminary, and speaks nationally and internationally on biblical masculinity, fatherhood, spiritual formation, leadership, and relational authenticity.